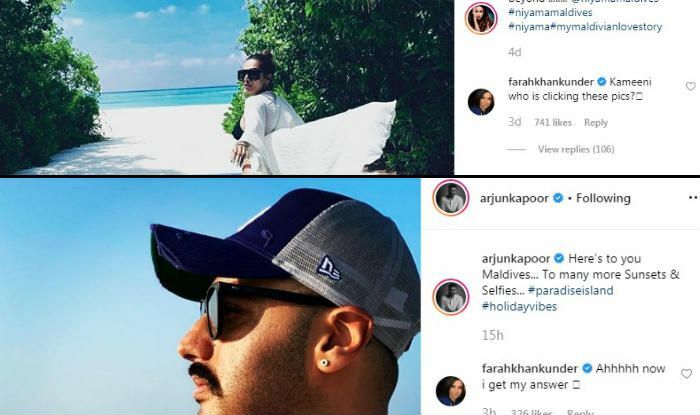 Earlier, Malaika Arora shared her photos from the Maldives and now, Arjun Kapoor has shared his pictures. In the middle of all this, Farah Khan knows the truth. Earlier, it was assumed that Malaika has gone on the trip with her girl pals. However, the reports later suggested that Arjun gatecrashed her bachelorette trip. Filmmaker and the duo’s good friend, Farah Khan Kunder, recently commented on one of Malaika’s pictures asking her about the person behind the camera. Now, after Arjun posted his pictures, she commented on his post and said that she got her answer finally. Rumours are rife in the Bollywood’s grapevine that Arjun and Malaika are getting married on April 19. The duo was also papped at the Mumbai airport returning from the Maldives together. They have also found their comfort in being clicked by the paparazzi around. In his latest interview with a news agency, Arjun opened his heart out on the kind of characters he wants to do in the future. The actor showed his inclination towards doing a good heist film in his career.